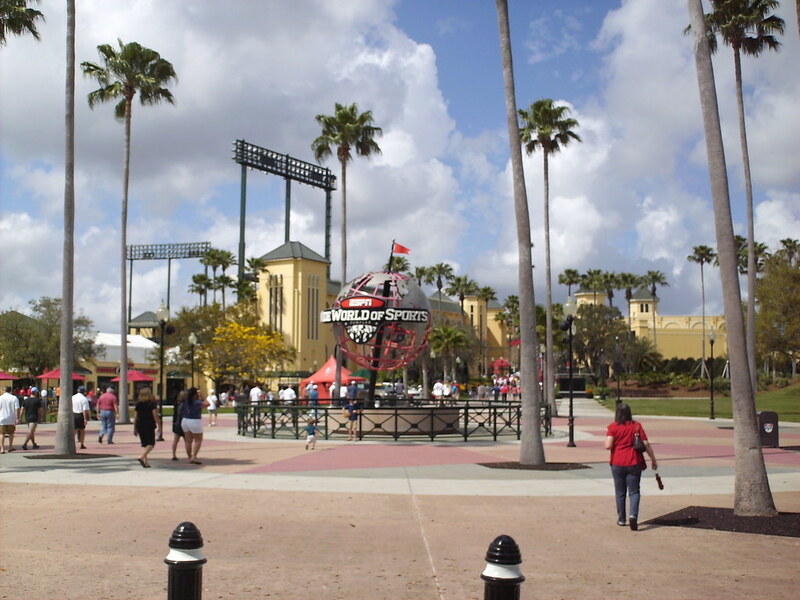 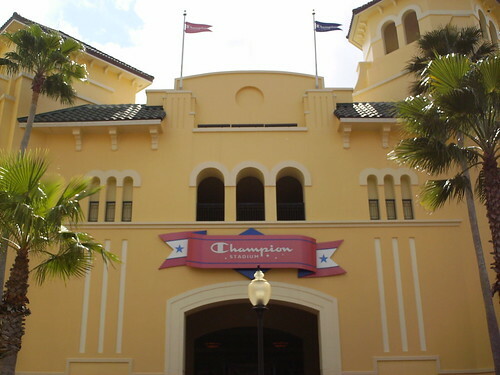 Champion Stadium is located at Disney World, as part of the ESPN Wide World of Sports Complex. 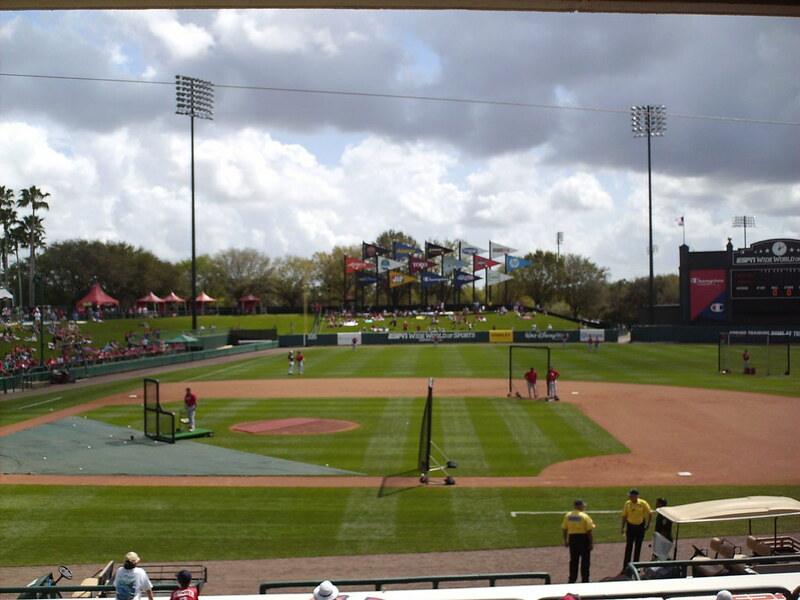 The grandstand at Champion Stadium as seen from the right field corner. 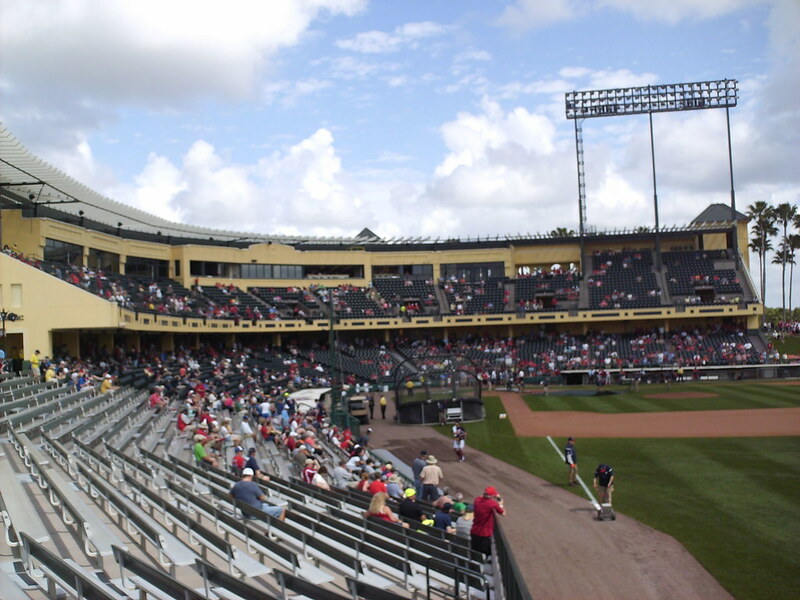 The seating bowl is split into two decks, with the pressbox and luxury suites overlooking the second deck seating. 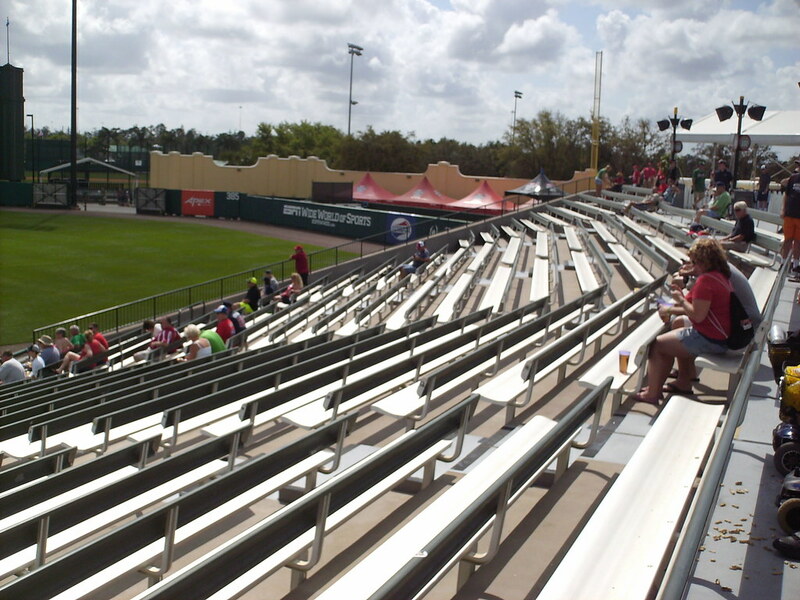 Bleacher seating wraps around to the right field foul pole. 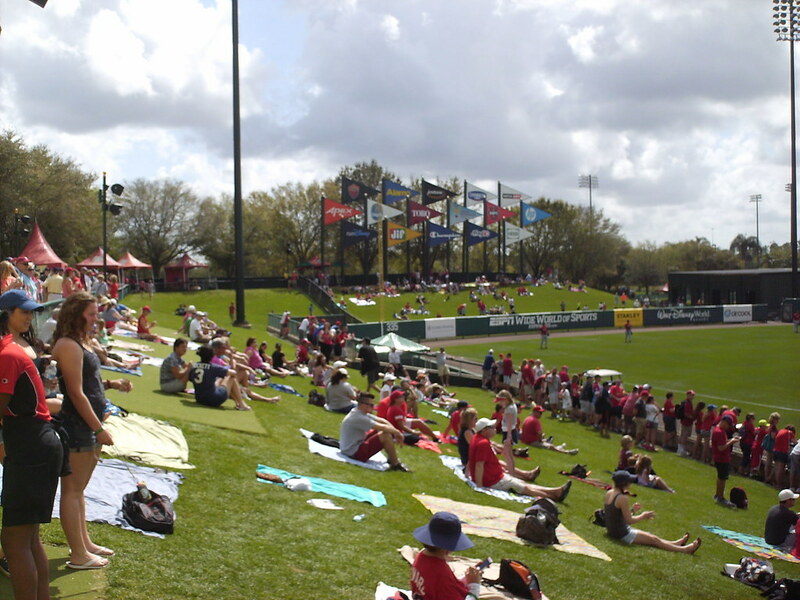 A large berm wraps around the left field corner, and outfield ads are presented as flags overlooking the field. 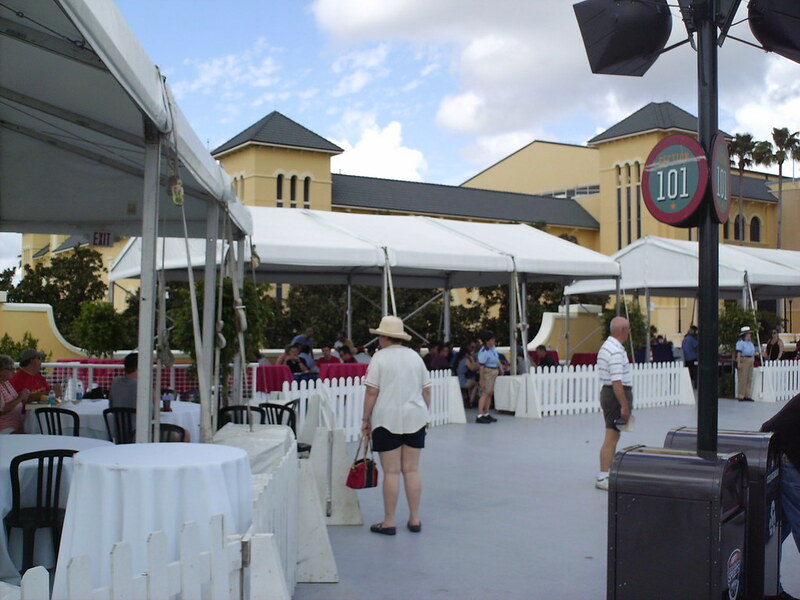 Tents along the top of the berm provide shade and Adirondack chairs, acting as open-air luxury boxes. 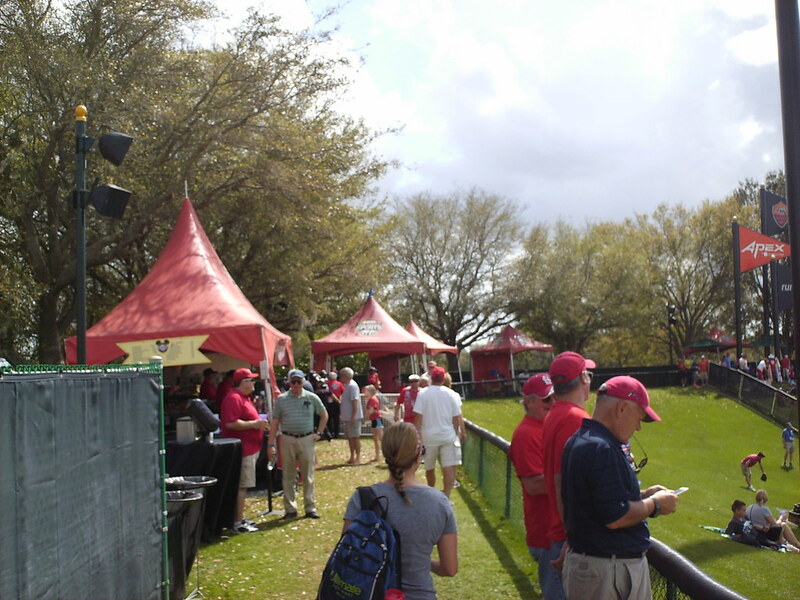 A beer garden and picnic table seating underneath tents on the right field concourse. 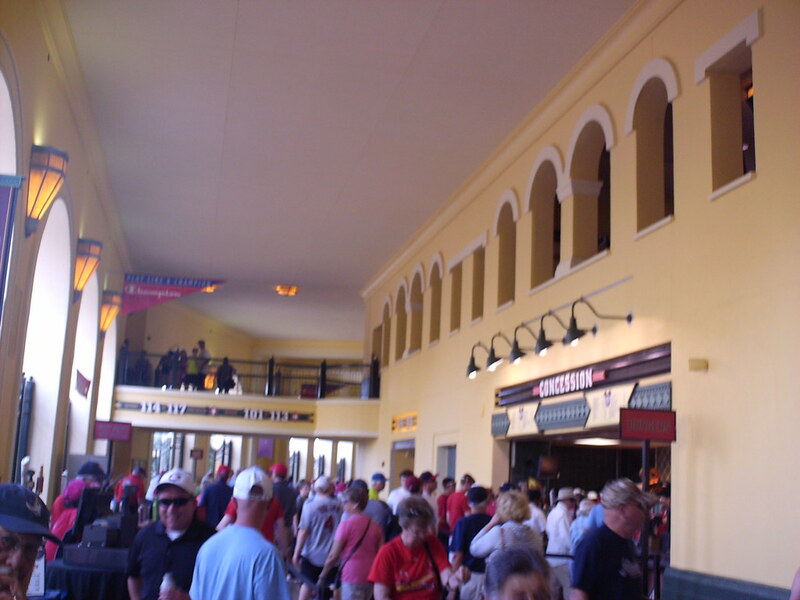 The lower concourse and Spanish Mission architecture of Champion Stadium. 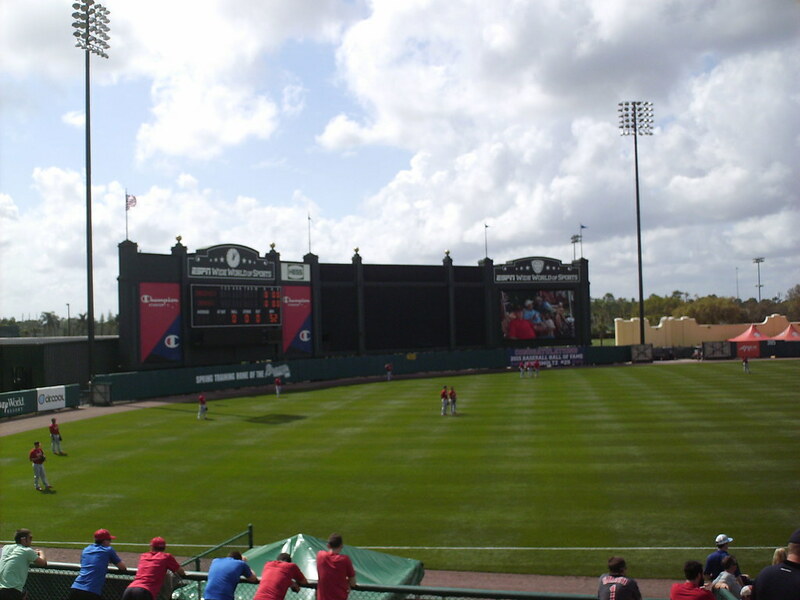 The scoreboard, videoboard, and batter's eye form one large imposing structure behind the wall in center field. 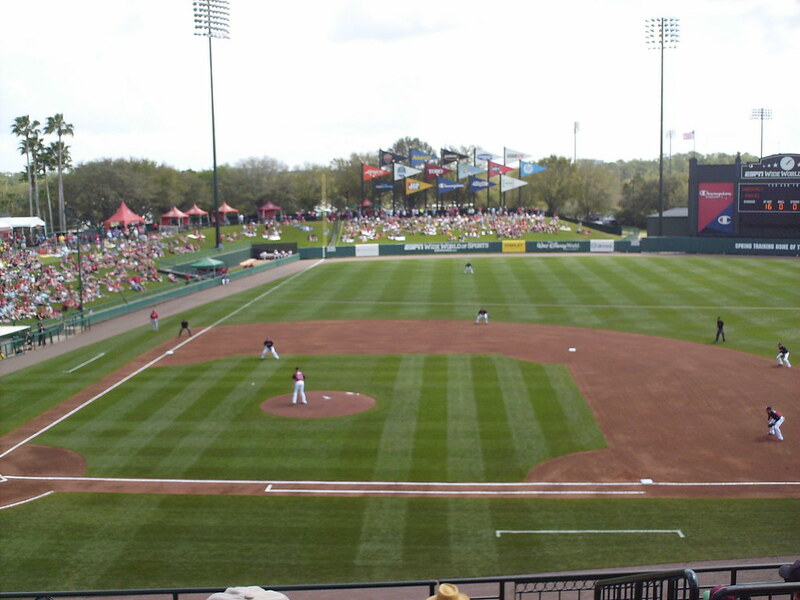 Bullpens sit behind the fence in right field, and the wall makes a sharp corner where they end. 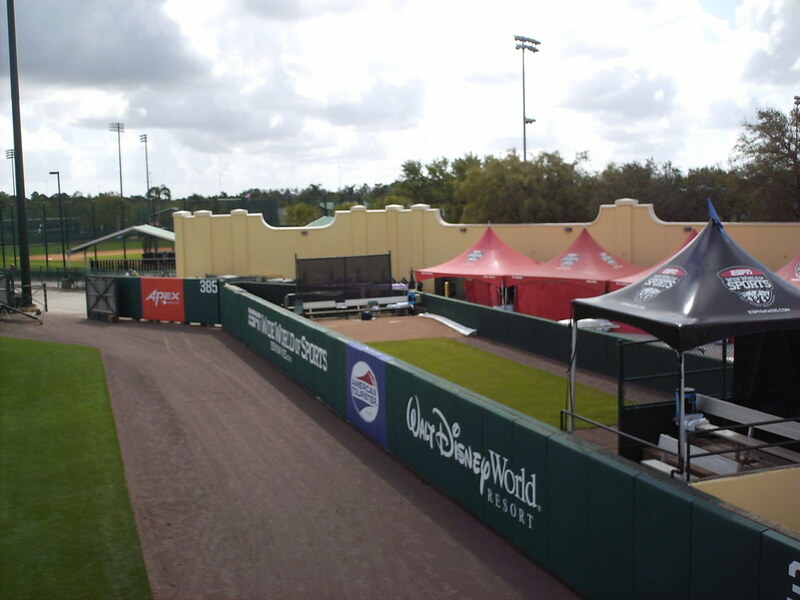 Practice fields sit behind the center field wall. 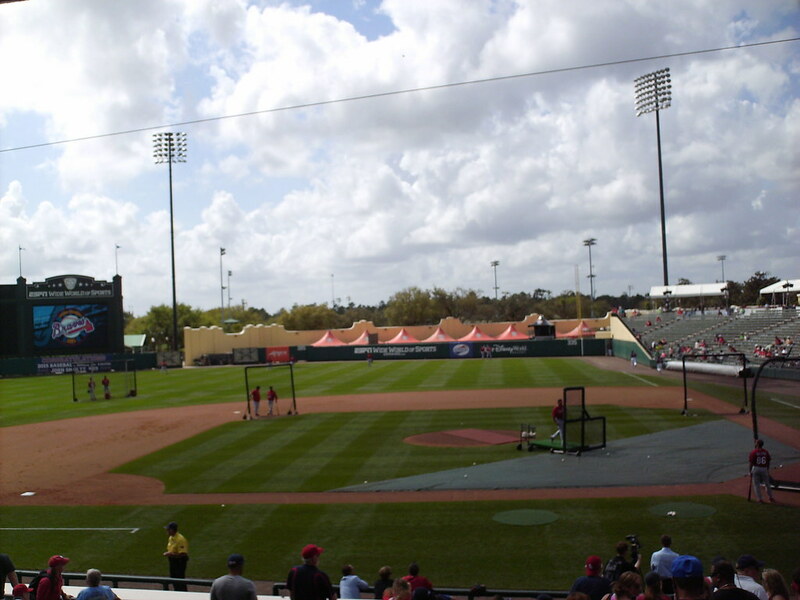 The Atlanta Braves on the field during a Grapefruit League game at Champion Stadium.